Ms. JD Pre-Law: Interview with Lisa Rohrer, Senior Advisor at Fairfax Associates | Blog | Ms. JD | Determined to Rise. Our guest today is Dr. Lisa Haueisen Rohrer, Senior Advisor at Fairfax Associates, a strategy consulting firm focused on the legal market. Prior to this role, Lisa was Executive Director of the Case Development Initiative at Harvard Law School. 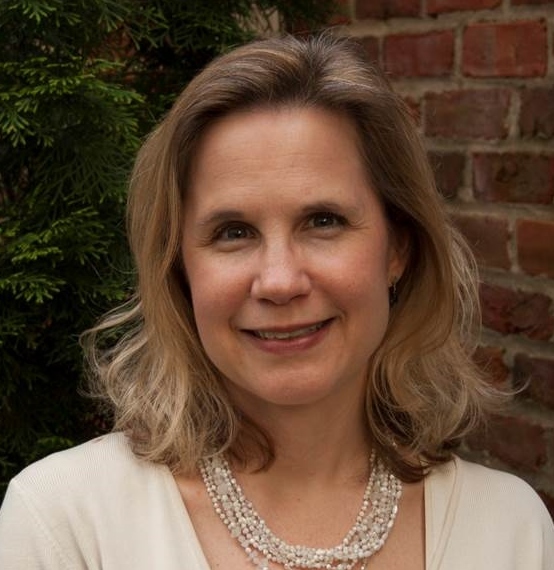 She was also Director of Executive Education and Research Director at the Georgetown University Law Center. Lisa has a PhD in Organizational Behavior from Harvard Business School, a master's degree from Harvard University and a BA from Wellesley College. Hi Lisa, thanks for speaking with the Ms. JD Pre-Law blog today! To start off, can you briefly tell our readers about your work—what are some of the issues that you research and consult on? Lisa: Together with my colleagues at Fairfax, we help law firm leaders run their firms more effectively. Most of our projects revolve around law firm strategy where we provide assistance in determining the overall direction of the firm and how they can find growth in what for many is a difficult market. I also do a fair amount of partner compensation work. Partner compensation is actually a fascinating topic because it consumes a lot of energy and resources of law firm leaders. Yet, despite all the hard work that law firms put in to making fair compensation decisions, there are often issues and questions about whether or not the process is working the way it should. Finally, I am spending more and more of my time helping leaders develop their leadership skills through training and coaching. How did you decide on law firms as an area of study? Lisa: It was actually kind of random. When I went to graduate school, I decided I wanted to study mergers in professional service firms because I was interested in what happens to people when the firm makes a transformative decision like deciding to merge with another firm. When you have an organization where people are your main asset, how does that work? I met an economics professor at Harvard Business School whose wife was at a law firm and had told him about Martindale Hubbell, which back then was basically a directory of all the lawyers and all the law firms in the country. This was before the web was very prominent and so Martindale was the main way that firms could “market” themselves. What was so fascinating to us, as academics, was that we could “see” inside each of these firms – we could see who was working for them, what positions they were in, where they went to school and in what year they graduated. It’s a labor economist’s dream because you don’t have this kind of labor market data available in any other industry, really. So I teamed up with him and we took 10 years of Martindale Hubbell data and converted it into a ginormous database. From this database, I was able to identify about 400 mergers and then I could see what happened to people as their firms went through mergers. That’s the long answer to your question. The short answer is, there was good data in law firms! And after I had put in all that work to understand the profession, I eventually found myself to be in a unique place as a very informed outsider, which has been a pretty interesting niche. What's a significant change that law firms are undergoing, but perhaps hasn't hit public consciousness yet? Lisa: One of the things we’re seeing more of lately is that firms are discovering more value in the softer side of managing the business. For a long time, lawyers weren’t very interested in spending time learning things like leadership, how to give feedback, how to motivate lawyers, etc. They just wanted to practice law! But now I think we are seeing a newfound appreciation for some of these aspects of running a law firm. For example, I recently did a workshop with a firm on how to give better feedback to their partners. While many firms have done a decent job providing good feedback to associates, once someone became a partner, they were on their own! But in reality, everyone, no matter what the level, can benefit from feedback on their performance. It’s these types of things that more and more law firms are starting to appreciate and put resources towards, which is definitely good news for those who are just entering the profession. The legal industry looks like its going through pretty painful adjustments, and individual associates often seem powerless in the face of firms merging, imploding and outsourcing work to technology or overseas. Do you have any advice for pre-law students about what we can do to better protect our future careers? Lisa: That’s a great question. For one thing, I would encourage you to think broadly about what you can do with your careers. Just because you get a law degree doesn’t mean that you have to work in a huge law firm for your entire career. For instance, in-house attorneys have fascinating jobs which require a good legal foundation but also get very deep into the business issues facing their organizations. A legal background can be valuable in many other aspects of business as well so my advice is to keep an open mind and don’t get too tied to one career path. On a related note, just because you have a law degree and you’re working as a practicing lawyer, don’t limit yourself to the narrow body of law in your specialty. While law is becoming more and more specialized, the most interesting client issues are multidisciplinary – so you need to have an appreciation for other practice areas besides your own and be able to work with lawyers with different legal backgrounds. Lawyers have also been slow to appreciate that other disciplines, like for instance computer science, have relevance to legal practice. And yet we are seeing some very interesting companies that are hiring lawyers to help them write software to automate certain types of legal transactions or help people who can’t afford to pay a lawyer get access to some basic legal services. There are lots of fascinating things going on around the edges of traditional legal practice that, with the right mindset, can really enhance your range of choices with a law degree. So my advice here would be to keep exploring all your passions, not just those that apply directly to the law. You never know how you might be able to combine your passions and talents in the future. Are there any books, articles or Harvard CDI cases that you'd recommend to a pre-law student who wants to start thinking further about law firms as businesses? Lisa: I would suggest first of all reading the daily articles that are published at the American Lawyer and Bloomberg, both of which have quite a bit of commentary on the profession and the business issues facing law firms. If you’re interested in reading some case studies, at HLS we published two case studies on how firms handled the economic crisis of 2008 (which was really a watershed moment). One on Allen & Overy shows how they were able to navigate quite successfully and another on Heenan Blaikie shows how the firm unraveled during this same period. While the economic environment was just one of many important issues in these cases, they are interesting stories about what can happen when firms encounter adversity, which reveals a lot about how the firms operate. Finally, outside of work, what's something you enjoy or are passionate about? Lisa: I am passionate about travel and have been on a mission with my husband to bring our kids to as many international destinations as we can before they grow up and leave home (I have a 13-year-old son and a 9-year-old daughter). I’m also very excited to be a Girl Scout leader for my daughter’s troop and hoping to inspire more young girls to grow up to be strong women and leaders! Thanks again for your time, Lisa! It's been a real pleasure.